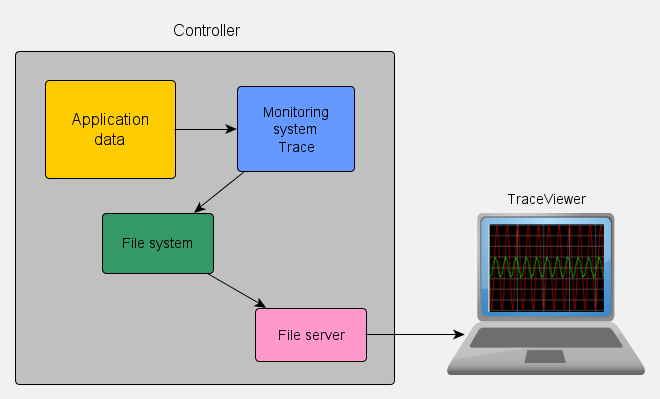 TraceViewer program is designed to visualize the information obtained from monitoring and event logging software controllers, implemented using the development environment EAT-Eclipse. Configuring monitoring and logging system is performed in the development environment EAT-Eclipse. Monitoring data is stored in internal non-volatile memory controller. 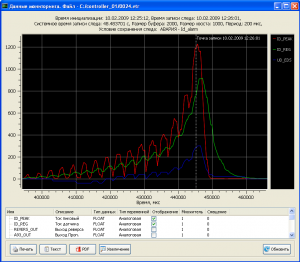 TraceViewer provides access to the file system controller via a serial RS-485 interface. 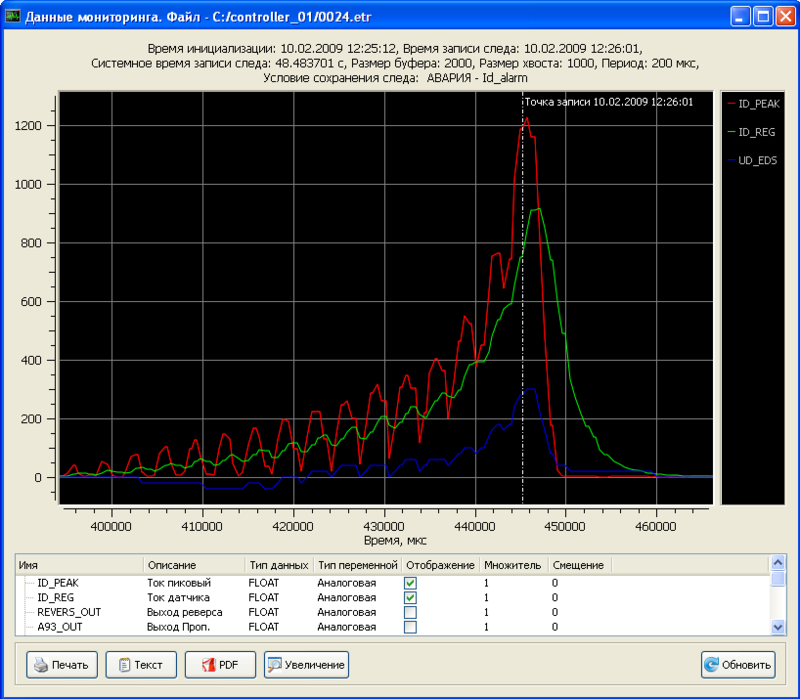 The image of the main window of the program files in the controller are shown in the left table, the table on the right - the downloaded files on a PC. Installing the programm is copying files from the archive filr trace_viewer.zip in any directory of the drive.